Usborne Very First Reading: Run, Rabbit, Run! 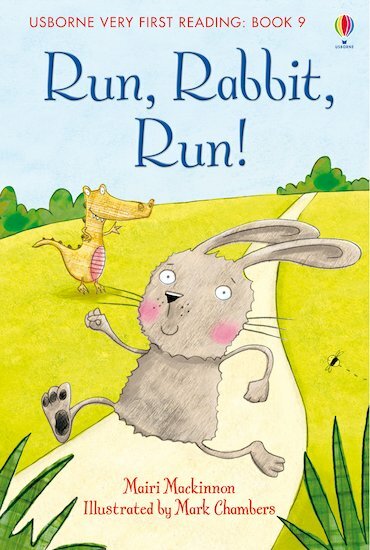 A little rabbit embarks on a thrilling chase in this enchanting rhyming story to inspire beginner readers. Presented in a beautiful hardback with vivid colour illustrations and a ribbon marker, this charming book encourages young children to read with adult support. Simple puzzles allow readers to check their understanding of the story, while the vibrant pictures provide lots of visual clues. The story is based on the principles of synthetic phonics, and supports the “Letters and Sounds” programme used in thousands of UK primary schools.